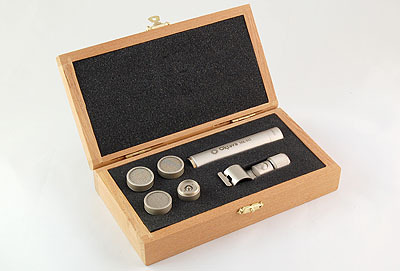 The MK-012 is a compact, high quality capacitor microphone with interchangeable capsules to provide a choice of cardioid, hypercardioid or omni-directional polar patterns. The wide, flat response ensures that all sounds are captured with a high degree of accuracy. A -10 dB pad is included for use in high SPL environments. The capsules, which screw onto the microphone body, utilise a precision, integral connection system to ensure reliable electrical contact. 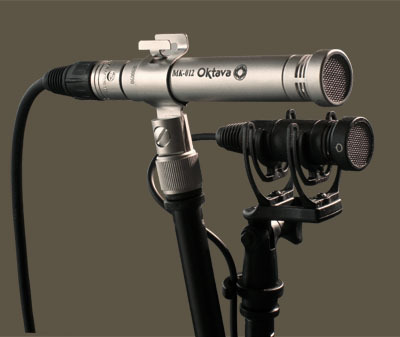 The MK-012 is suitable for use in any situation where an accurate sound is required, the size of the system makes it ideal for use in broadcast, sound for picture, installation, sound reinforcement and theatre situations as well as the recording studio. In pairs, the MK012s are perfectly suited for coincident and spaced stereo miking techniques, and also overhead useage in live and studio situations. Factory matched pairs can be specially ordered.